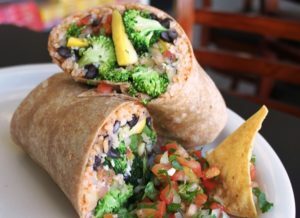 Aztec Grill: So Much More than Gas Station Food! In 1995, frustrated with the lack of decent food options for on-the-go customers, Peter Van Alyea had a vision: fresh Mexican food cooked by trained professionals inside of one of his gas stations. Thus, Aztec Grill was born, a seminal and completely unique concept years ahead of its time. Today there are 16 Aztec Grills serving up classics like Carne Asada, Carnitas, Chile Relleno, Burritos, Tacos, and Enchiladas, all made fresh daily from real ingredients. So come on in! I dare you to try our gas station cuisine!